As a boy, Joe Zumpano learned about the latest advances in medicine from his father, now a retired prominent neurosurgeon. Meanwhile, his Cuban-American mother inspired him to fight for justice with accounts of government oppression. “Growing up, I always had in interest in both law and medicine,” says Zumpano, who chose to become an attorney. He now practices healthcare and international law as managing partner of Zumpano Patricios & Winker, P.A. (ZP&W) in Coral Gables. A noted international attorney, Zumpano has been an effective foe of injustice through his work on a number of major international cases. Zumpano has struck his own blows against the Castro brothers and the Cuban regime as well as the longstanding practice of fraudulently hiding assets within The Bahamas. In his first major case against the Castro regime, Weininger v. Castro, Zumpano developed the legal strategy and led a multijurisdictional team to a major legal and financial victory against the Castro regime. Zumpano and Leon Patricios, with co-counsel Spencer Eig, obtained an $87 million judgment on behalf of Janet Ray Weininger, whose father, Thomas Ray, was captured during the 1961 Bay of Pigs invasion. A CIA pilot, Ray was taken to a Cuban hospital and then assassinated. 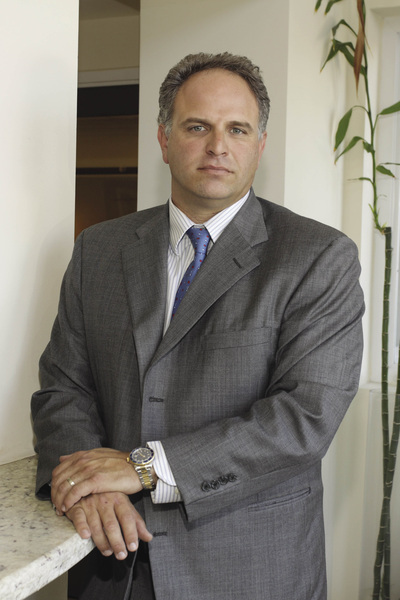 After their win on obtaining the judgment, Zumpano assembled and led the collection effort that ultimately recovered $24 million on the judgment. While Zumpano was working on Weininger v. Castro, he was also leading a second major case, Breitenstine v. Breitenstine et. al., taking on fraud in The Bahamas. The case was massive in scope, and spanned multiple jurisdictions from The Bahamas, to Iowa, to Wyoming, to Ohio and to Europe. The result in 2008 was an extremely rare piercing of a Bahamian trust, yielding millions of dollars of liquid and real property assets. Currently, Zumpano is squaring off against Cuba’s agencies and instrumentalities, this time in Federal District Court in Washington, D.C. The case involves attachment of intellectual properties on behalf of a victim tortured at the hands of the Cuban regime. 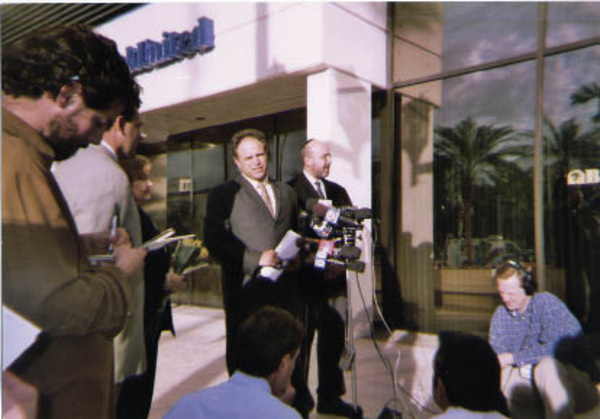 “It has been an amazing experience to work with Mr. Zumpano and see his thought process and arguments in court,” says Miami attorney and co-counsel Hoss Hernandez. Zumpano grew up in New England and moved to Miami in 1978, where he fell in love with the water at his parents’ second home in the Keys. He attended Belen Jesuit Prep School and was recently named to the school’s sports hall of fame. After graduating from Harvard with honors, Zumpano then completed a joint degree program earning a juris doctor from Georgetown University and a master of public health (MPH) from Johns Hopkins University in Baltimore. “That helped give me an entry into health law,” he recalls. Returning to Miami, Zumpano first practiced healthcare law at Strook & Strook & Lavan, where he worked for the late Robert Shevin and his brother Arnold Shevin, now a partner at ZP&W. In 2003, he teamed with Patricios and David Winker to form ZP&W. Since then, Zumpano has handled major litigation and arbitration on behalf of major hospital systems, and other healthcare providers, in multi-million dollar disputes with managed care payors. Zumpano credits much of his success in this area to the lessons he learned in his early years. Zumpano’s wife Grace Escalona is also a partner in the firm, practicing real estate and family law. “It’s a joy having Grace at the firm,” he says. “She’s a great lady and a great lawyer.” Married since 1997, the Zumpanos have three children, Andrea, 12, Lucas, 10, and Jesse, 8. Zumpano’s broad perspective allows him to see far beyond Florida’s borders. ZP&W recently opened an office in Chicago with four lawyers who are led by Arthur Bresnahan, office managing partner, a veteran attorney formerly of Skadden Arps. In keeping with Zumpano’s ability to attract to his firm those close to him throughout his life, Bresnahan was Zumpano’s law school roommate at Georgetown.